Choose someone to receive a Kudoboard online group greeting card. Attach messages, photos, and videos to the recipient's board. Invite family, friends, and colleagues to add their contributions. Deliver the recipient's Kudoboard online or in print form. ...or check out a demo video here. Want to print as a poster? 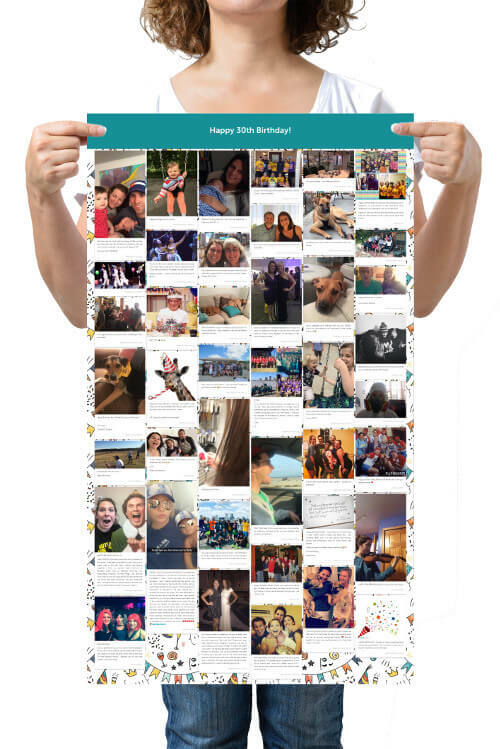 You can download a high-resolution version of the board and print it yourself, or we can print & ship anywhere in the continental US. Sign up for reminders to create a Kudoboard group card before upcoming holidays.